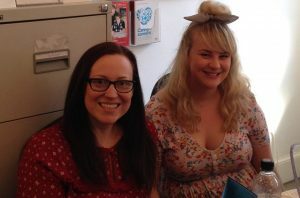 We are very sad to say goodbye to both Lucy and Jen today. Both have been working in Glasgow for the past few years and it has been great to get to know them. We will introduce their replacements in another news item. Everyone at PAMIS wishes them the best for the future and they will be missed.